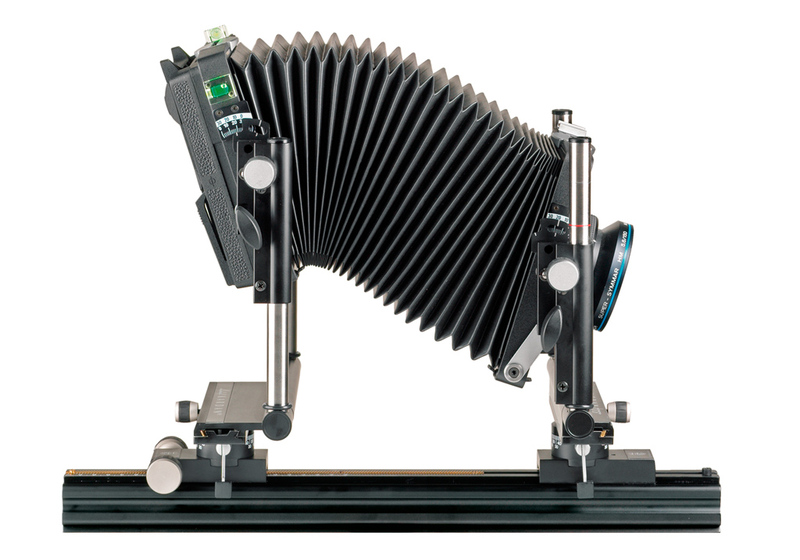 Optical bench with direct displacements for 4×5“ sheet film or for working with Linhof Rollfilm Backs. 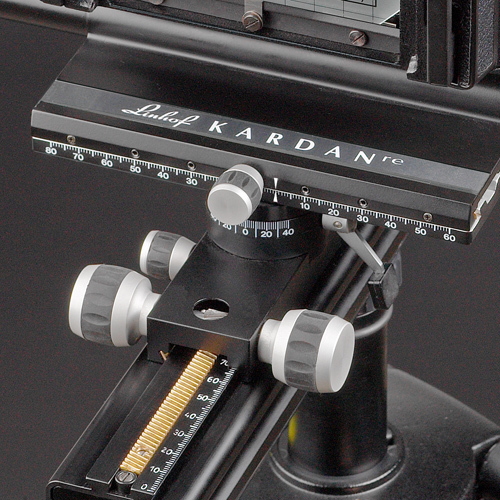 The Kardan re – the ideal entry to professional large format techniques. 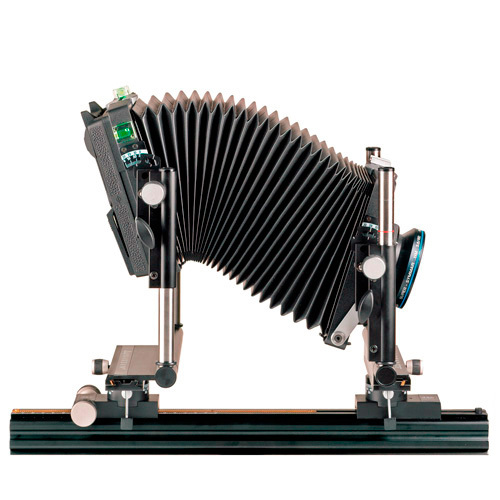 “re” stands for the modified version of “E” with micro drive focusing, improved operating elements and new scales. Adjustment facilities: direct large displacements, lateral and vertical shift at front and rear standard, vertikal and horizontal tilt. 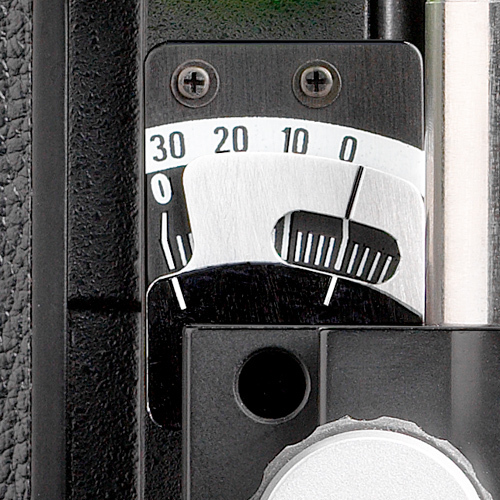 Play-free solid brass micro-drive for extremely smooth focusing of the camera on the monorail. 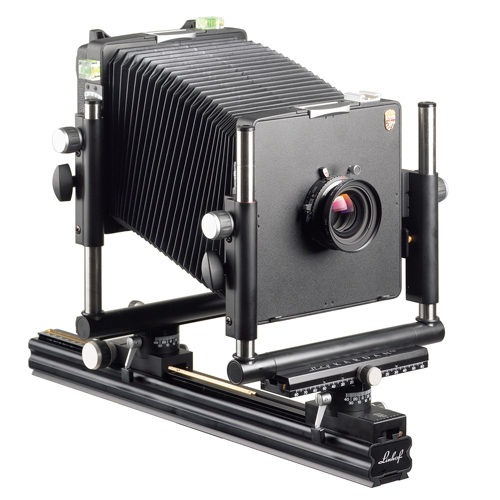 The Multi-Format Groundglass facilitates the selection of the image format – from 6 x 7 to 4 x 5. 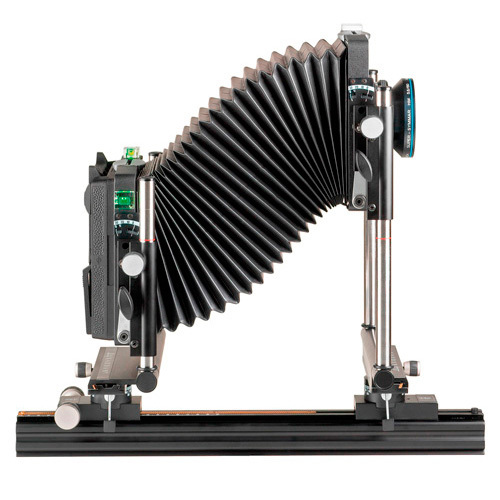 Central horizontal-axis: Lens center tilt 30° fwd. and 40° bkwd. Central horizontal-axis: tilt 30° fwd. and 40° bkwd.